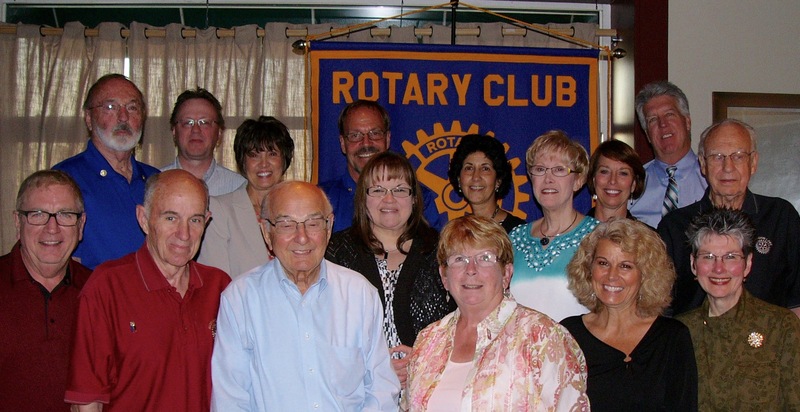 The Avon / Avon Lake Rotary Club announced their new officers for the Rotary year beginning July 1, 2015. 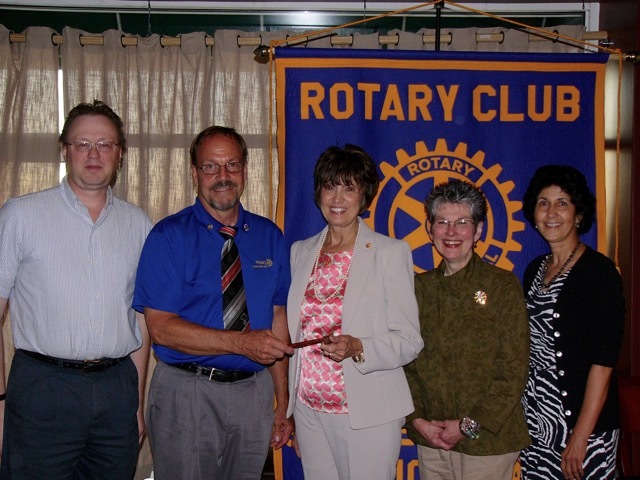 Outgoing President Doug Maurer presented incoming President Linda Rakvic of Avon Lake, with a presidential pin, the Rotary bell and gavel. Sheffield Lake resident Jinnyn Tata is the incoming Vice President, and Avon Lake residents Frank Krempasky and Mary Crehore are Treasurer and Secretary respectively. Mark Musial of Sheffield Lake is the Foundation Administrative Chair. Club members and their guests enjoyed the induction dinner at Sapori’s in Avon Lake on Tuesday. Linda Rakvic announced Rotary year’s challenge to “Be a gift to the world.” She thanked the Rotarians (and their spouses) for the significant contributions they make to the community and beyond. In a separate presentation, Doug Maurer was recognized for his promotion July 1 to Assistant Governor of the Rotary District.